New Delhi: Star Indian shuttlers PV Sindhu and Saina Nehwal on Wednesday sailed into the second round of Singapore Open 2019 as the first games were straight wins. 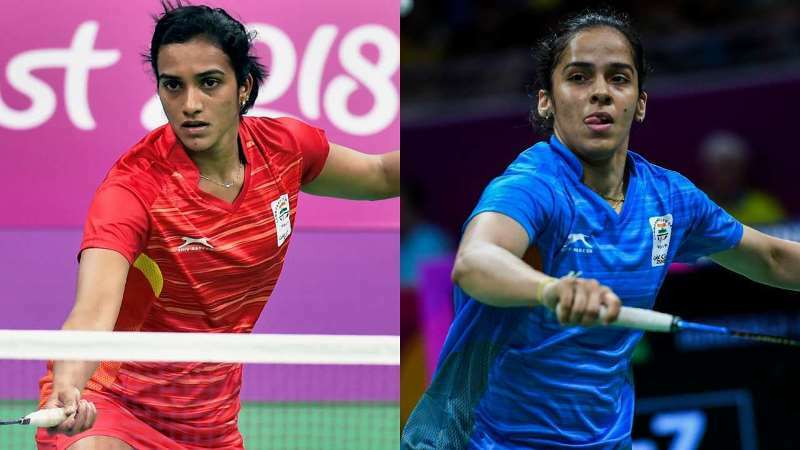 Sindhu seeded fourth, took just 27 minutes to get the better of her Indonesian rival 21-9 21-7 in a one-sided women’s singles match. The Rio Olympic silver medallist will next play Mia Blichfeldt of Denmark. Meanwhile, Saina shrugged off last week’s Malaysia Open’s disappointed very well though on Wednesday as she worked around Indonesia’s Yulia Yosephin Susanto well to bring up a 21-16, 21-11 victory. She will next meet the winner of the match between young compatriot Mugdha Agrey and Thailand’s Pornpawee Chochuwong. However, it was curtains for India in the opening round of the men’s doubles competition. The pair of Manu Attri and B Sumeeth Reddy lost against qualifiers Danny Bawa Chrisnanta and Kean Hean Loh of Singapore 13-21 17-21 in their opener. The mixed doubles pair of Saurabh Sharma and Anoushka Parikh too exited in the opening round after a 12-21 12-21 defeat against third-seeded Thair pair of Dechapol Puavaranukroh and Sapsiree Taerattanachai. However, Pranaav Jerry Chopra and N Sikki Reddy progressed to the mixed doubles second round event after beating Arjun M R and K Maneesha 21-18-21-7 in an all-Indian contest.